On its 20th anniversary, the Nintendo 64 still holds a special place for a generation of gamers. With classics including Super Mario 64 and not one but two great Zelda games, the N64 remains a fan favorite. When the James Bond movies were relaunched in 1995, teaser posters declared “There is no substitute“. For years after the GoldenEye tie-in game, there would be no substitute. You’d probably have done better in school had Rare not released their spy-’em-up classic in 1997. But look at what you got instead. GoldenEye: a first person shooter that truly worked on a console. A deep single-player campaign of layered objectives and nonlinear paths, nicely balancing stealthy espionage and all-out 007 movie action. 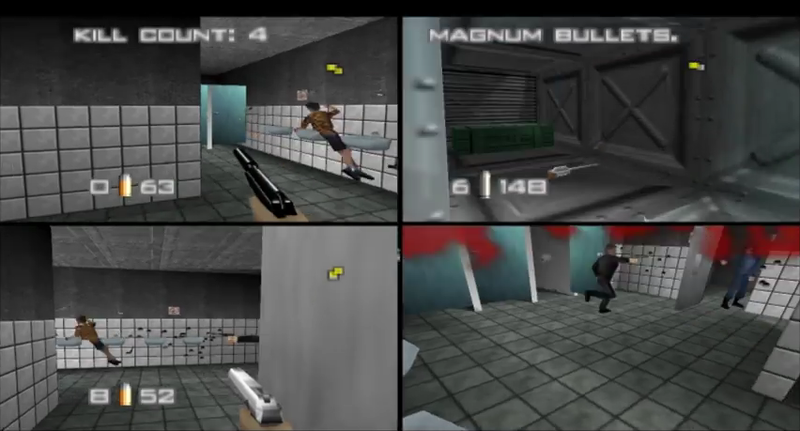 GoldenEye gave us a language all our own, enabling us to communicate with gamers of a certain generation – “Basement, pistols, License to Kill, no auto aim” – it was understood. The player with the steadiest nerves and quickest draw would win out in License to Kill, a “one shot kills” mode, and GoldenEye offered so many combinations – rocket launchers in the Temple arena, remote mines in the tight corridors of the Facility. Well-designed weapon sets prevented imbalance, and map layout was excellent. PC gamers in the mid-90s had already played Doom over LAN connections. GoldenEye was a whole different game. There was nowhere to hide on split-screen – you couldn’t camp out and expect to get away with it – and without the element of surprise, deathmatches were bursts of tactical maneuvering. 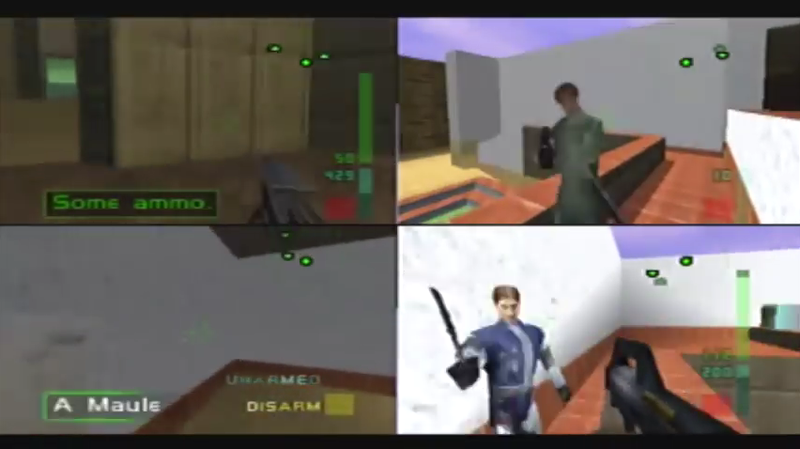 More than anything, GoldenEye’s even pace – and lack of jump function – ensured that deathmatches were far from the jittery, twitchy gameplay of other shooters. GoldenEye was much more deliberate – precision gunplay, making complete use of the new analog stick and an innovative targeting reticle. GoldenEye rewarded a sure aim, and much like Bond himself, was all about grace under pressure. tl;dr – The console shooter that changed everything. Four-player perfection. Golden design, golden controls, GoldenEye – there is no substitute! Konami’s soccer series in process of evolution, after its 16-bit roots on SNES and before toughening into the detailed simulation of Pro Evolution Soccer. We got the best of both worlds in the N64 era. 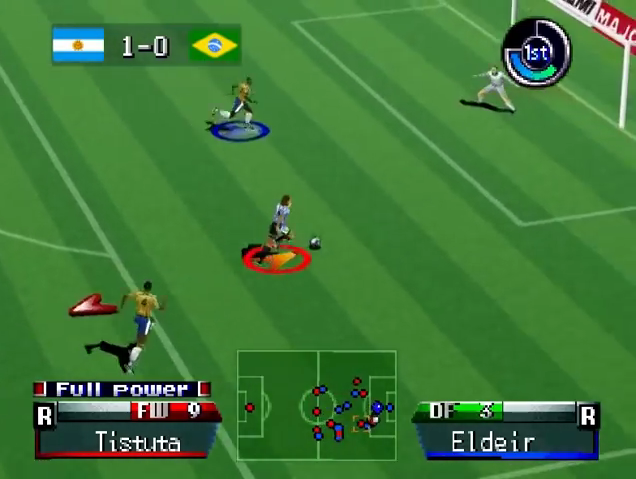 International Superstar Soccer 98 was an improvement on ISS 64, with clear, uncluttered controls – simple passes, crosses, and through-balls were all immediately accessible. ISS was easy to pick-up and play. Team sports bring out the best and worst in people, and ISS holds this to be true. With any combination of four-player teams (four against a CPU, or 3-v-1 or 2-v-2), ISS required individual skill, close cooperation, and out-and-out goading of your friends. 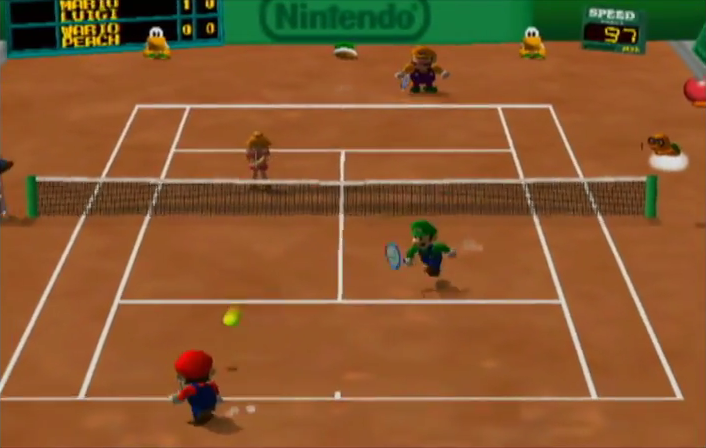 And like Mario Tennis (see below), ISS matches would often result in spectacular in-fighting over mistimed plays. Tactical and formation options added depth, and a sequel, ISS 2000, gave us a glimpse of a more realistic game of soccer. You were less likely to score 35 yard strikes this time around – ISS 2000 demanded closer teamwork, and a more intelligent use of space, to break down defenses. ISS 2000 rewarded a passing game and movement down the flanks for crosses, in contrast to 98’s direct play. Either way, International Superstar Soccer was a multiplayer blast. 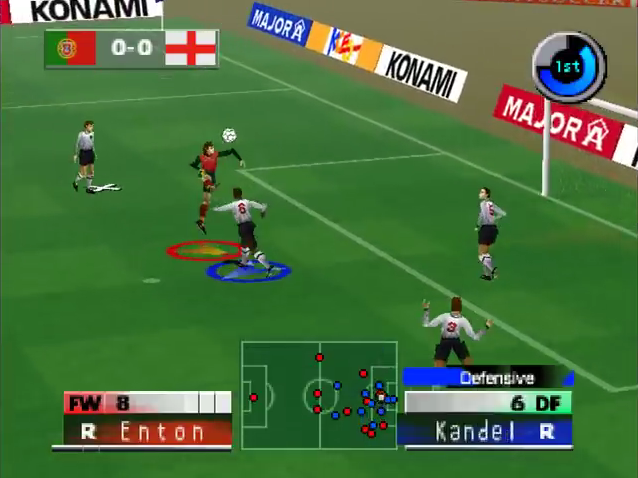 tl;dr – Konami soccer in the days before Pro Evolution Soccer’s deep simulation, ISS was team sports at its most accessible. Not the strongest entry in the series, in retrospect Mario Kart 64 feels like a half-measure – the graphics are oddly limited (2D sprites on 3D backgrounds), and the course design feels sprawling and slack. The N64 title would be overtaken by the stronger design of Mario Kart: Double Dash!! on GameCube, and the comprehensive Wii and Wii U versions. 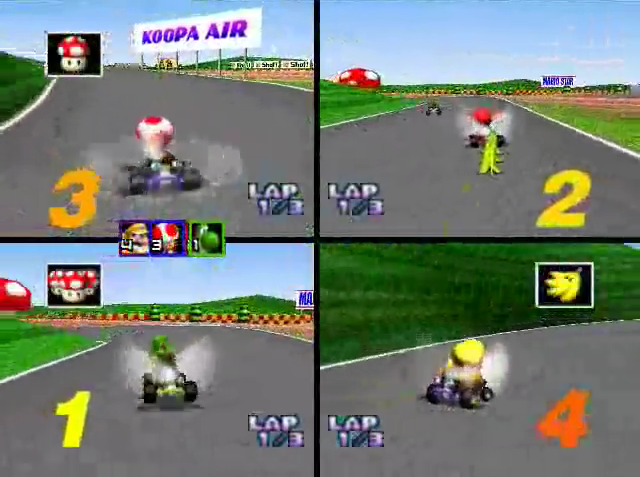 In split-screen mode though, with four players battering around – and battering each other with Koopa Troopa shells – Mario Kart 64 was an intense racer, and guaranteed friendship-ender. 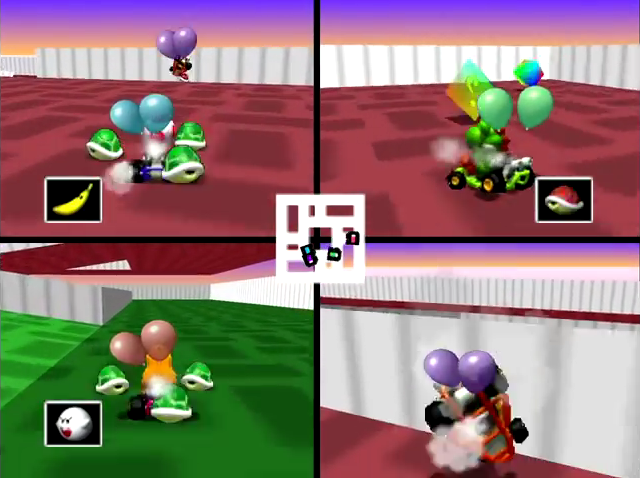 Since the versus mode in this Kart was less compelling than the original, it fell to balloon battle to provide the tension and panic of competitive karting. tl;dr – The first four-player Mario Kart might not have been the greatest version, but it provided fast, nervy split-screen gaming. Nintendo is “for the kids”? Play a multiplayer battle of Mario Kart to hear truly harsh language. A change of pace with the long-running Team17 artillery strategy series, Worms Armageddon has each team taking turns to assault one another with bazookas. The trick was in guesstimating the trajectories. Physics has never been so much fun – unless a strong wind blows a rocket back into your face. 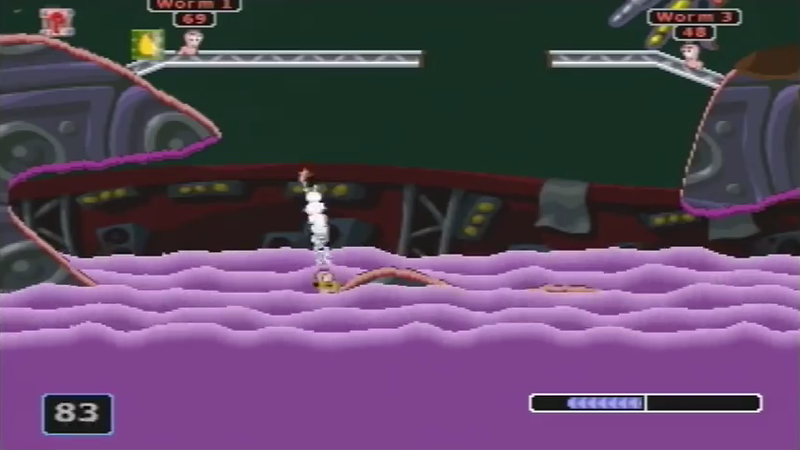 Worms Armageddon was a war of attrition, only with cartoon characters and hilarious weapons. In what other game can you call in a carpet bombing of your friends using explosive moles? You also had the option to needle your opponents with defensive strategy – we all had that friend who took great pleasure in burrowing underground, reinforcing their bunkers with layers of steel beams. tl;dr – Worms Armageddon required a different part of your brain from the reflex-based action of other N64 multiplayer games – more tactical, no less fun. Underrated and overlooked at the end of the N64’s life, Mario Tennis was classic Nintendo putting a new spin on an old genre. In this case, Nintendo chose Mario and company for a sports outing, creating a pure arcade interpretation of tennis. This is no simulation, and there are gimmicky game modes to be sure, but the gameplay was not simplistic. Though simple enough to pick-up, Mario Tennis proved it had depth with superb controls that allowed you to add after-touch, and simple combos to pull off lob and drop shots. Mario Tennis may be the greatest multiplayer title on Nintendo 64, and one of the best party games of all time. In doubles, it’s flawless – a wonderfully chaotic back-and-forth, with edge-of-your-seat rallies that had players desperately barreling around the court. A lack of positional discipline – when to attack the net, when to stay at the baseline – would lead to dropped points and frequent, comical in-fighting. Mario Tennis’ fluid gameplay ensured an utterly perfect blend of frenetic action and tactical movement. 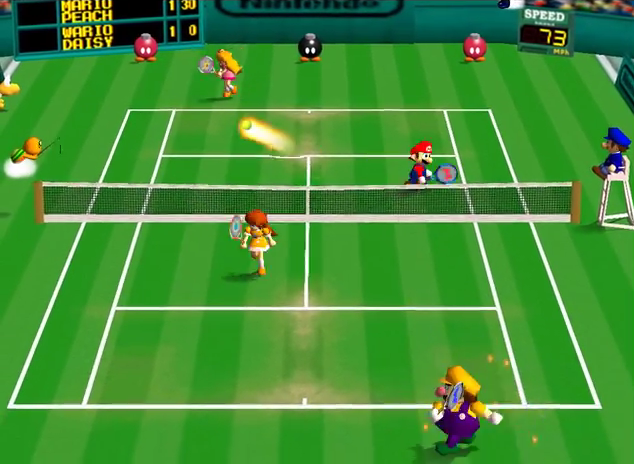 tl;dr – Don’t let the cheery characters and colorful courts trick you – Mario Tennis was built around a solid understanding of the sport, and four-player doubles represents some of the best multiplayer gameplay on the N64 – or any console, ever. A sequel to the 16-bit SNES and Genesis games, Micro Machines 64 Turbo featured up to eight players (two players sharing each of the four controllers!) and frenetic top-down driving, with miniature race cars, speedboats, and tanks hurtling around beaches, pool tables, and school desks. Micro Machines 64 Turbo was high speed mayhem. 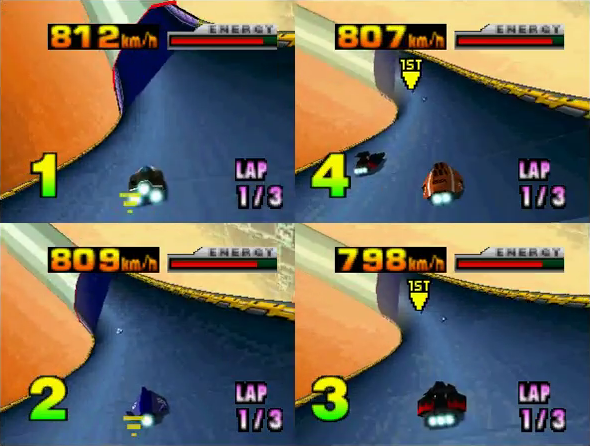 In multiplayer, the goal was to score points by racing ahead of the pack – forcing other players off the screen, or goading them into misjudging turns and hurtling from the course. 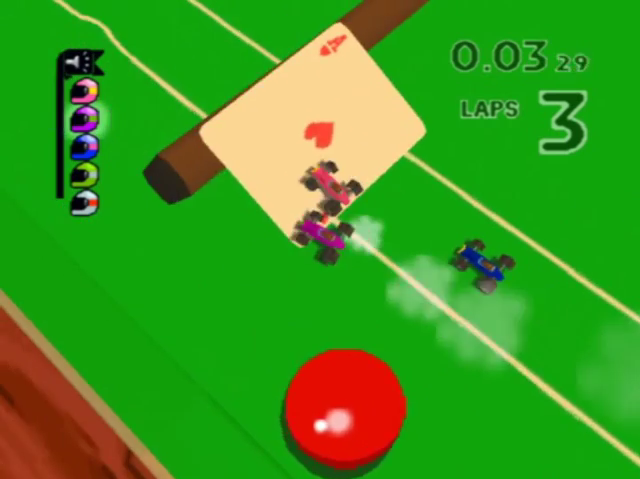 The stop-start nature of Micro Machines, the quick bursts of kinetic driving, made this arcade racer one of the most outrageously fun games on N64. 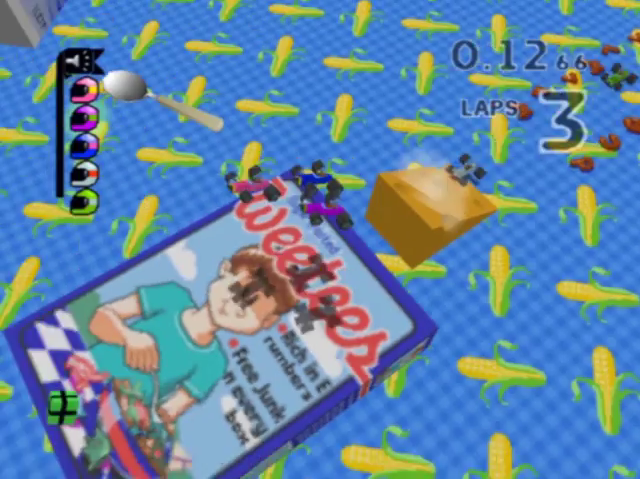 It was hard not to be charmed by a game in which spilt milk from a cereal bowl causes you to skid off the track. tl;dr – Another race-’em-up in which extreme levels of concentration were a requirement. Ridiculous, furious driving featuring tiny model vehicles and up to eight players, Micro Machines 64 Turbo was a hidden multiplayer classic. Perfect Dark still has its loyalists, but let’s be honest with ourselves – in single player, Rare’s sci-fi spiritual sequel lacks GoldenEye’s invention. 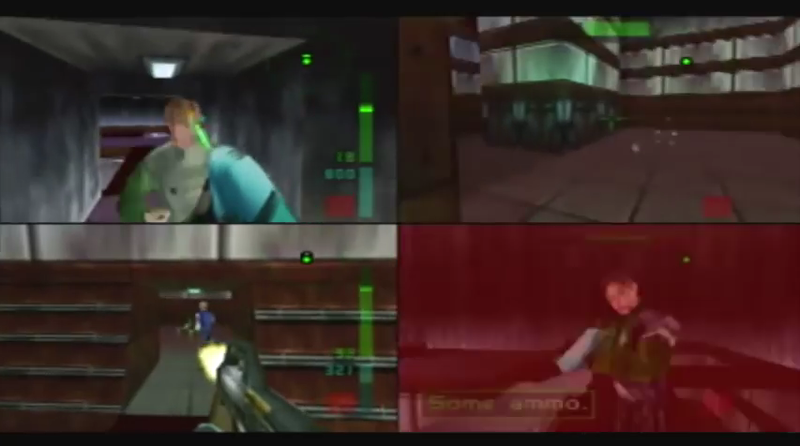 Perfect Dark’s weakest levels show the game up as a uninspired corridor shooter and, from a technical standpoint, Rare stretched the N64 beyond its limit – the game grinds with some stuttering frame rates. If single player was a disappointment, thankfully the pace and gunplay from GoldenEye were unchanged, leaving us with an outstanding multiplayer mode. Bonkers weapons featured: the Laptop Gun (which does double duty as an automated, wall-mounted turret), and the Slayer (which allowed you to remote control missiles towards your panicked opponents). 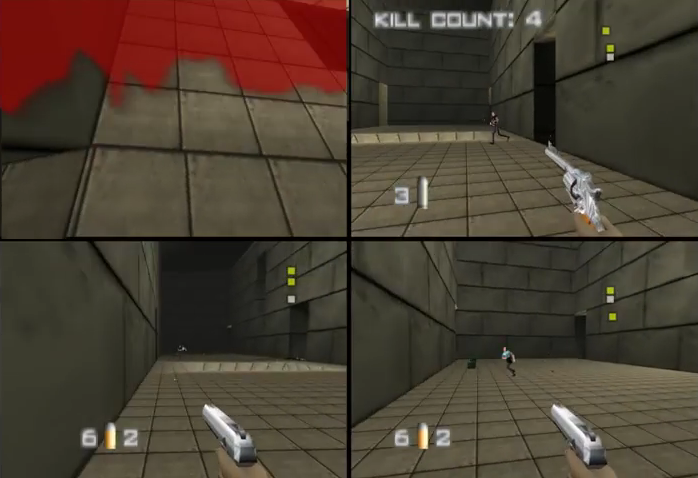 The variety of options in Perfect Dark made the game: color-coded teams, CPU bots, an array of weapons, intricate levels, and deathmatch modes. We might have returned to GoldenEye, but Perfect Dark had its multiplayer moments. tl;dr – What Perfect Dark lacked in single player it more than compensated for with extensive multiplayer options. When is a beat-’em-up not a beat-’em-up? In Super Smash Bros., Nintendo tackled generic conventions and reworked them, giving us a new type of fighting game. 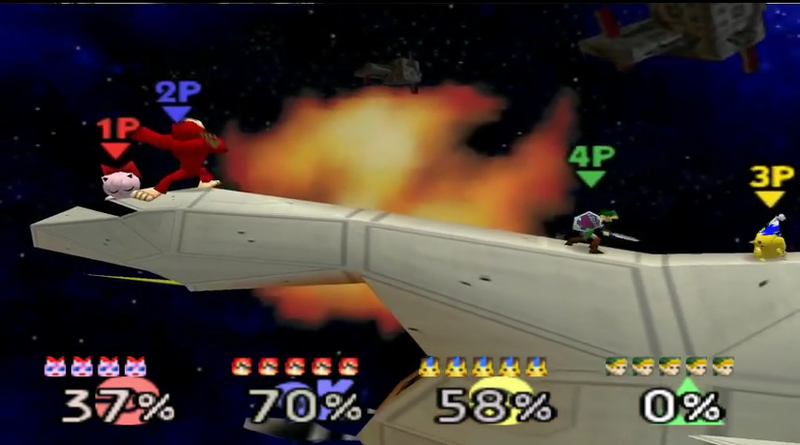 Health bars were out – in Super Smash Bros., the goal was to knock your opponents out of the arena. Complex combos were gone too – each character had simple attacks at the push of a button. 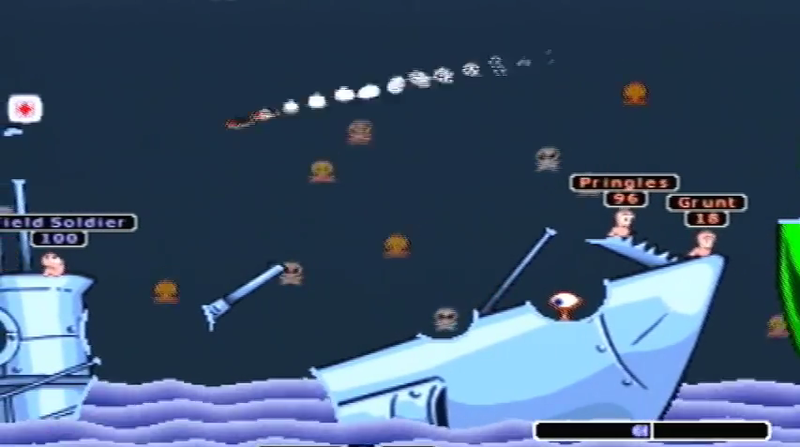 Weapons and items mixed up the gameplay, as did the levels, which featured environmental hazards. 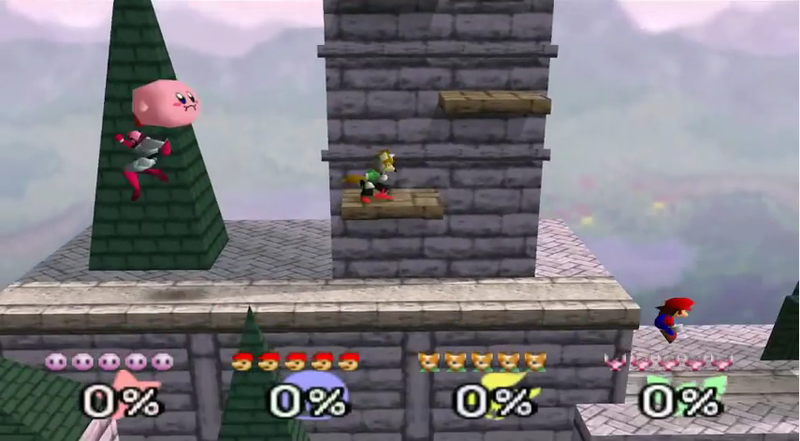 The later games in the series were subtitled “Melee” and “Brawl” – and that sums it up. tl;dr – Nintendo does it again, taking the tired old beat-’em-up and reinvigorating it as something light and immediately playable. Multiplayer carnage is the name of the Super Smash Bros. game. Early screenshots of Nintendo’s futuristic racer seemed unfinished, simplistic. And after graphically impressive games like The Legend of Zelda: Ocarina of Time, the finished product looked oddly stripped down. For Nintendo though, it was a simple trade-off – less textures and graphical detail meant consistently high frame rates, and in a game where top speeds pushed 900 kph, that frame rate was crucial. 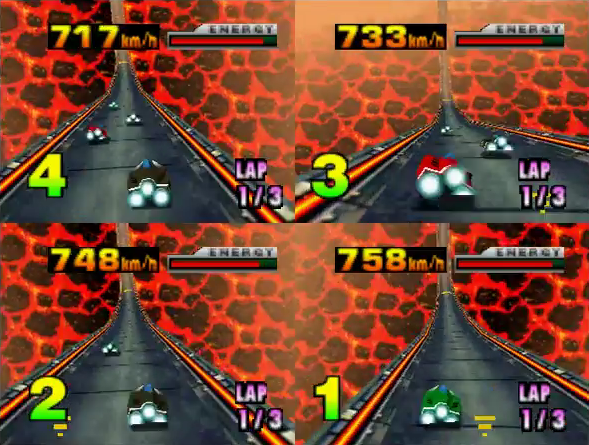 In multiplayer, F-Zero X relied on your reflexes. Loops, tubes, and tunnels flashed by at sonic speed. No items or weapons to bail you out here – this one was all about control at high velocity. A boost was your only ally and main tactical consideration – drawing on this gave your ship an even greater blast of speed, at the cost of energy. There was no better adrenaline rush than careening towards the finish line as an alarm wails, warning you that your ship was on the verge of blowing up. tl;dr – Nintendo’s wise decision to strip back the graphical detail in F-Zero X kept up the dizzying sensation of speed, even in split-screen mode. The hours I (and millions of others) thumped into Goldeneye… beyond belief! Mario Party was also a good one and I remember playing Extreme G a lot on multiplayer, even though it couldn’t handle it very well! I’d forgotten about Extreme G – like F-Zero, but with sci-fi weapons! This certainly brings me back! N64 was such a great system with superb multiplayer. The fact that it was an in age before online play forced us all to play with others in the same room. That’s a big reason why a lot of us have so much nostalgia with it! You listed a bunch of my favorites already. I also admit to enjoying the Mario Party series, especially the N64 ones. They were more novel and simple back then. Star Fox 64 and Pokemon Stadium’s minigames were also big sources of fun! Nice job! Thanks! As you say, playing online is one thing, but there is no replacement for playing in the same place with your pals. Split-screen gaming was the best! Mario Kart 64 definitely tested friendships! In many ways I feel like N64 is a timeless console with near-universal appeal. It was still extremely popular during my college years, 15 years after its release! Many a friendship was built around the likes of Smash Bros and Mario Tennis! Discovered Mario Tennis a year ago. I had no idea that it was going to be so amazing. It took over my life for like a month!